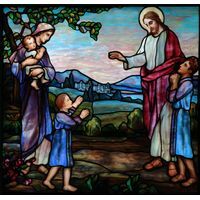 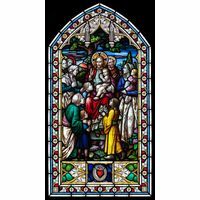 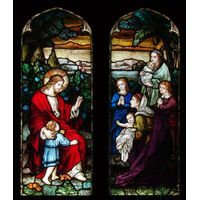 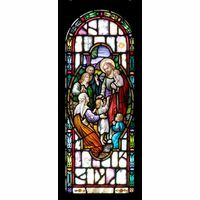 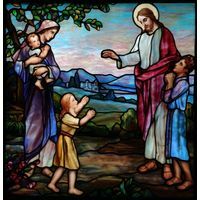 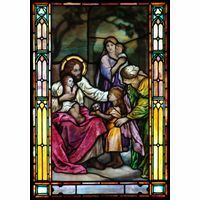 Jesus bestowed His blessing upon the children who came to Him while He was teaching, a beloved Bible teaching honored here in breathtaking stained glass design. 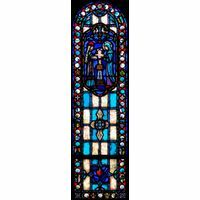 Framed in ornate, arched elegance that features lovely shades of blue and sparkling white, with varied accents crossing the full palette of color. 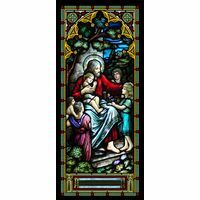 As rays of light dance across the surface of this work of stained glass art, they are reflected in shifting shades throughout the day and after dark. 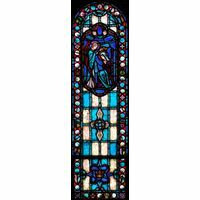 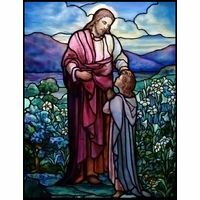 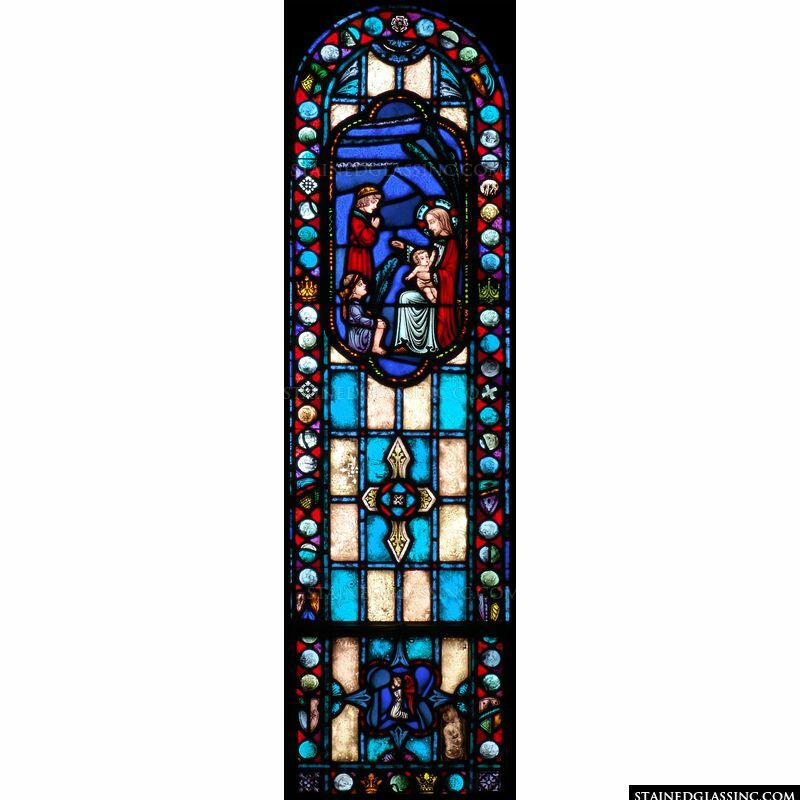 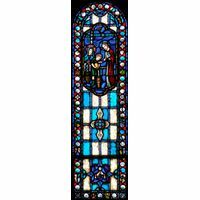 This piece is perfect as a stained glass window to enhance areas of prayerful worship, casting ethereal light and color across church or chapel, or as a unique signature work of art for home or business decor, perfect for child centered spaces. 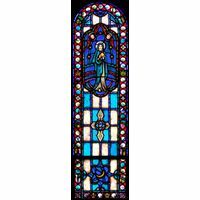 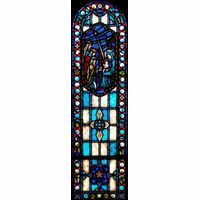 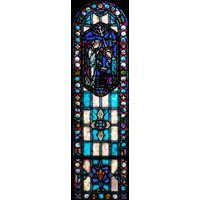 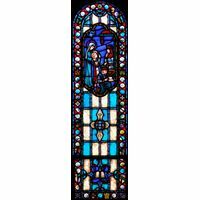 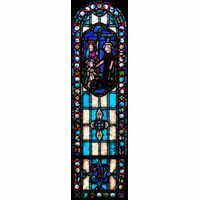 Stained Glass, Inc. windows feature superior artistry by masters in stained glass, crafted with excellence and style to bring stained glass elegance and grace with a sacred message.